What is the USB C cable and how do I use it on my Galaxy Note8? Meet the new USB C. The days of accidentally connecting the charger incorrectly into your charging port are a thing of the past. The new USB C cable can be inserted either way, so it’s a win-win. 1. 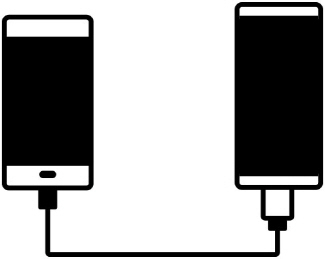 To connect your phone to an external device, insert the USB C cable into the USB C port on your phone. Need to transfer photos from your old phone? That’s no trouble at all. Just use one of the adapters that comes with your phone. Explore the various usages of the adapters below. • Adaptive Fast Charging Travel Adapter: For fast charging your phone. Galaxy Note8: How do I pair a Bluetooth device to my Samsung Galaxy Note8 (SM-N950W)?